Prosperity in Qatar and the consequent stresses on water resources resulted in a sustainable increase in the bottled drinking water market. Reports on health concerns and possible migration of chemicals from the plastic material into the water have driven the current investigation. This study aims to address the extent of antimony (Sb) leaching from polyethylene terephthalate (PET) water bottles subject to temperature variations (24–50 °C) due to Qatar’s hot climate and improper storage conditions. A representative basket including 66 different imported and locally produced water bottles was considered. The concentrations of Sb in bottled water ranged from 0.168 to 2.263 μg/L at 24 °C and from 0.240 to 6.110 μg/L at 50 °C. Antimony concentrations in PET bottles at 24 °C was significantly lower than those at 50 °C (p = 0.0142), indicating that the temperature was a principal factor affecting the release of Sb from the plastic into the water. 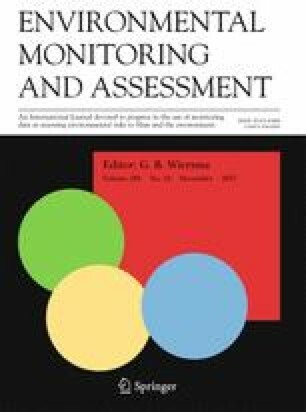 Although the detected Sb amounts were below the guidelines endorsed by WHO and Qatar (standard 5 μg/L) at 24 °C, the concentration measured at 50 °C was higher than the recommended WHO values (6.11 μg/L). The authors would like to thank the Central Food Laboratory at Ministry of Public Health for their help to analyze the samples. Special thank for Dr. Mohammad Al-Thani, the director of public health; Mrs. Wassan Al-Baker; and Dr. Mohamad Ali for their kind support.